Fuel poverty is an issue that remains a persistent and serious problem in Scotland. Housing associations and co-operatives have the most energy efficient housing, but their tenants are more likely to be in fuel poverty than the average household. 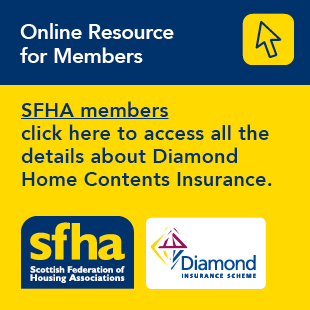 With the Fuel Poverty (Target, Definition and Strategy) (Scotland) Bill currently going through parliament, the SFHA has launched a short survey to understand the impact of fuel poverty on your tenants, organisation, and services. The survey should take roughly five minutes to complete. Results will be reported anonymously and shared on the SFHA website. The federation will use the results to inform its ongoing lobbying work on fuel poverty, including in its conversations with the Scottish Government and other key decision makers. It is not compulsory to answer every question, but the more information you provide, the better SFHA can represent the impact of fuel poverty on members. Any information on the key issues and challenges, and suggestions about possible solutions, such as advice and support, innovation or funding, would be extremely helpful in supporting SFHA to represent your views. The survey closes on Friday 12 April.